Residential Pest Control For the Hot Summer Months - Yes Pest Pros, Inc. Residential Pest Control For the Hot Summer Months - Yes Pest Pros, Inc.
Pest control is an issue that comes up every summer. The scorching outside temperatures can be hard enough to handle, but the many ants, bees, flies, mosquitoes, and other pests that come out only make it worse. No one wants to spend their time swatting and shooing bugs, but this is how many of us spend our summers. Keeping on top of residential pest control is a the best way to make sure that pests stay outside your home. For the most part, bugs come inside because they can. The more entry points your house has, the easier it is for them to invite themselves in. As a homeowner, it is your job to make it as hard as possible for them to come into your home. 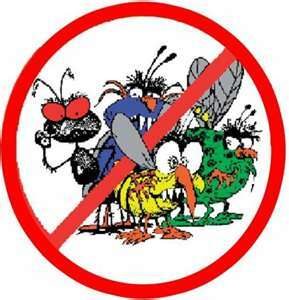 If you have had serious pest control problems in previous years, do something different this year. Hire Young Environmental Solutions to treat your home so that you can have a more enjoyable summer. They get the results you want and provide pest control for Bloomington, Elkhart, Granger, and South Bend, Indiana. Homeowners often opt for do-it-yourself options in an effort to save money, but they usually end up having to contact a pest control professional anyway when they discover that the traps and bait they bought weren’t effective enough. Here is something to consider: if most pest control problems could be fixed by homeowners, there would be no way for pest control companies to stay in business? If you are concerned about price, Young Environmental Solutions has coupons right on their website that could save you up to $100. All you have to do is print them out. They also offer free onsite evaluations to see if you really need their pest control company services. It may seem as if pests control company prices are a little high at first, but it is much cheaper to treat a home before a serious infestation breaks out. There is no real price you can put on peace of mind. Being able to sit peacefully in your home without hearing little scratching noises and worrying about getting bitten is priceless. Perhaps you have forgotten how that feels. Get in contact with Young Environmental Solutions and let them remind you.